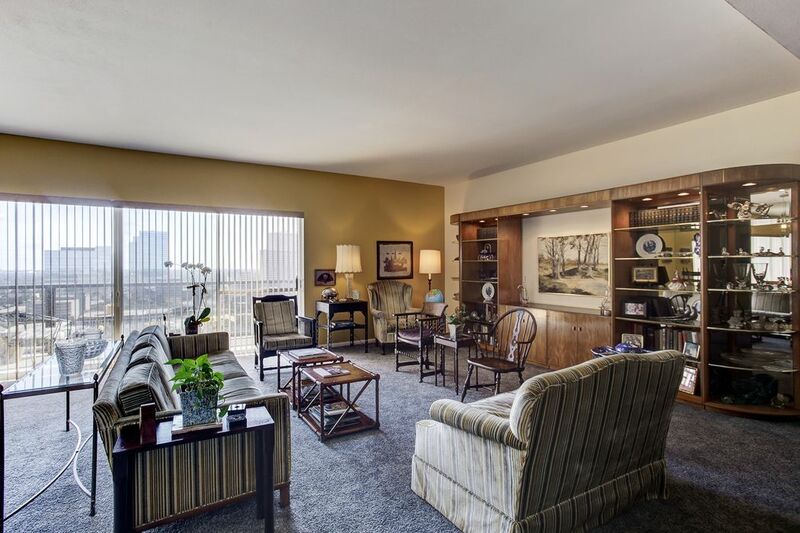 2929 Buffalo Speedway Unit A1912, Houston, TX 77098 | Martha Turner Sotheby's International Realty, Inc. 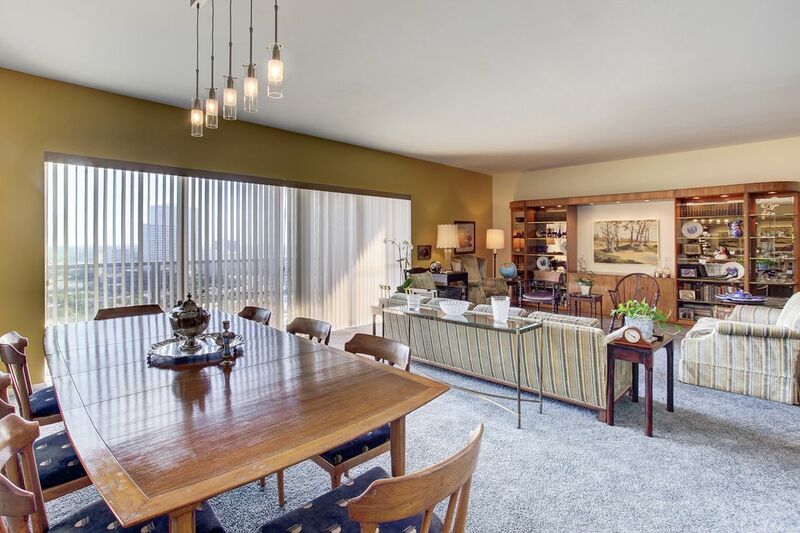 This photo shows the wonderful living/dining space and the sliding glass doors to the balcony. 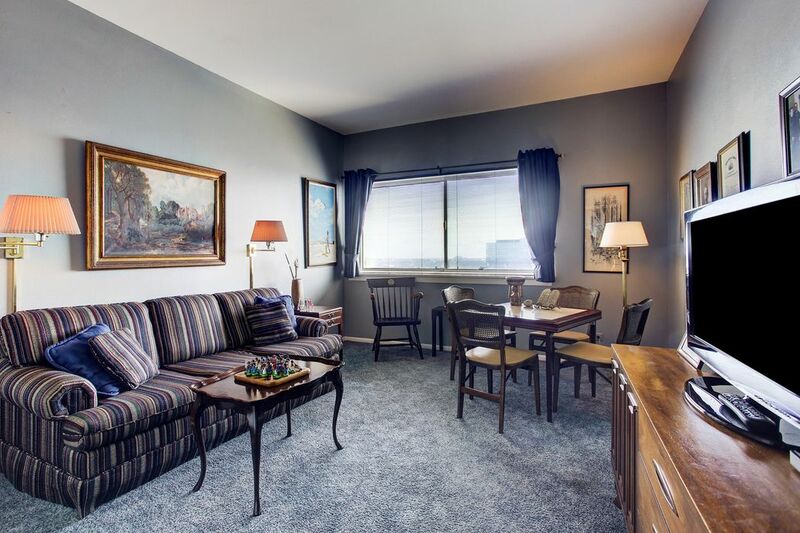 Plenty of room for a large gathering or a cozy space for family. 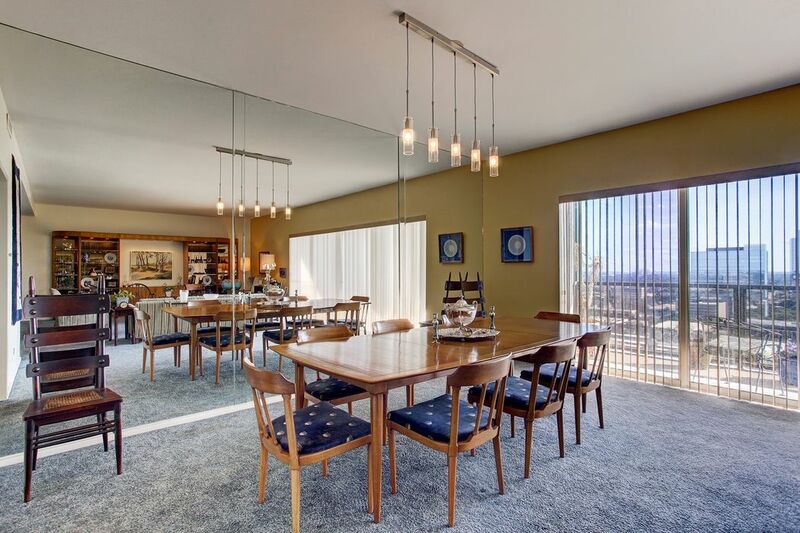 16' x 12' The spacious dining room with it's mirrored wall can accommodate a large dining room table and chairs for great company dinners. 21'x 18' Wonderful living room space combines with dining room for a large entertainment area or this cozy space for watching T.V. or just relaxing. 20'x 12' How about this for a large size master bedroom. There is plenty of room for a comfortable sitting area. One of two bathrooms---one has a tub, the other, the master, has a walk-in shower. 14'x13' The second bedroom is now used as a T.V. and card room. It has plenty of nice light from the large window. 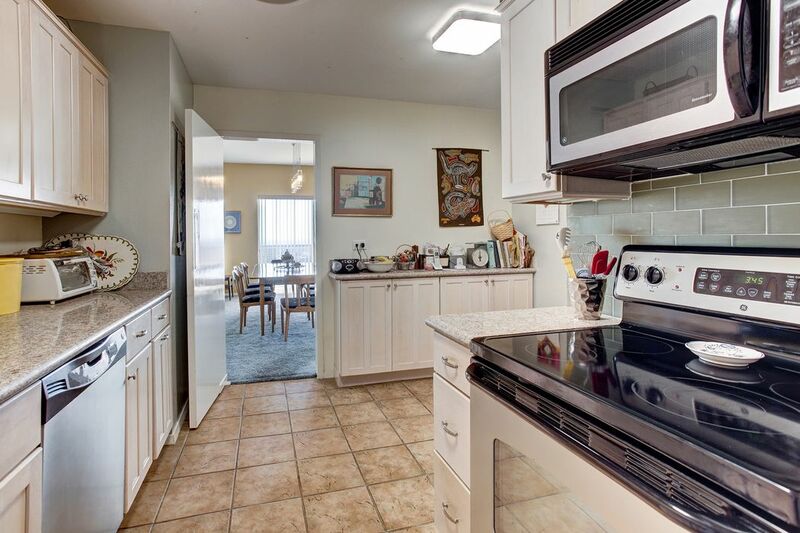 The kitchen is "L shaped" and has a separate under counter washer and dryer and granite counter tops. There is plenty of storage. All of the appliances remain. This is the other part of the "L shaped" kitchen looking toward the dining room. 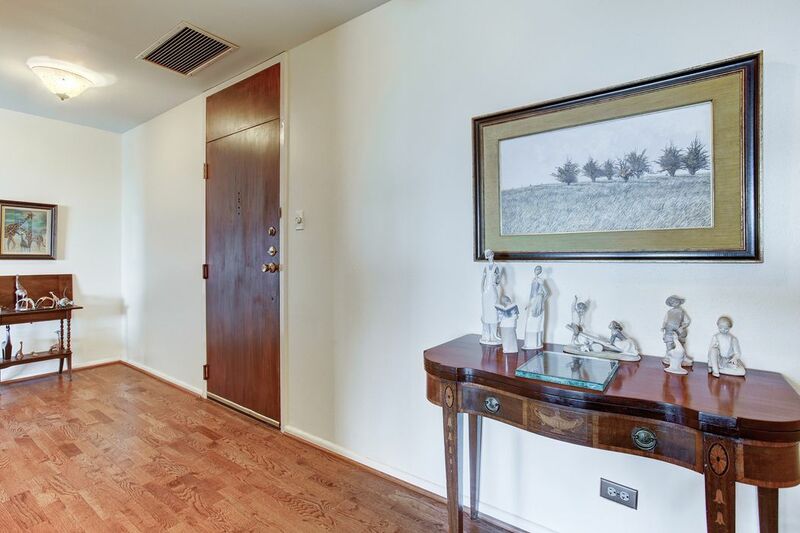 You can see the electric oven, microwave and dishwasher and more storage space. Another view from the balcony facing Southeast. 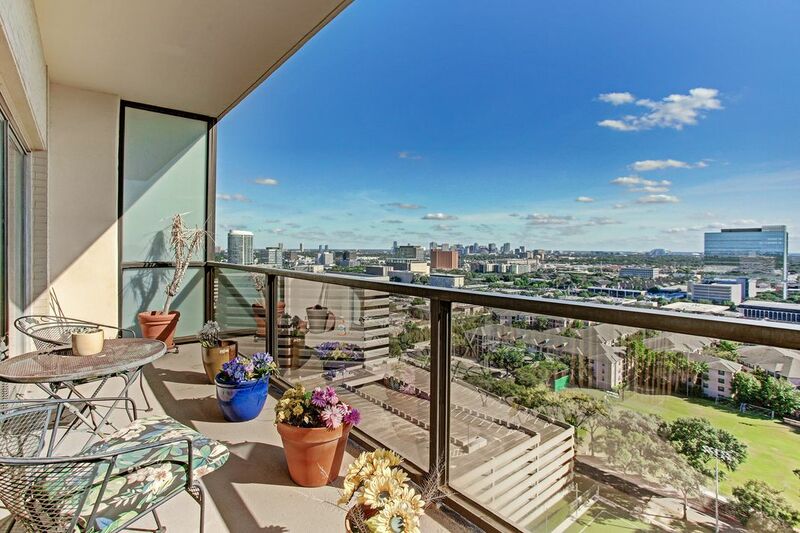 Really nice views from the large balcony. Nice sunlight from the South view. 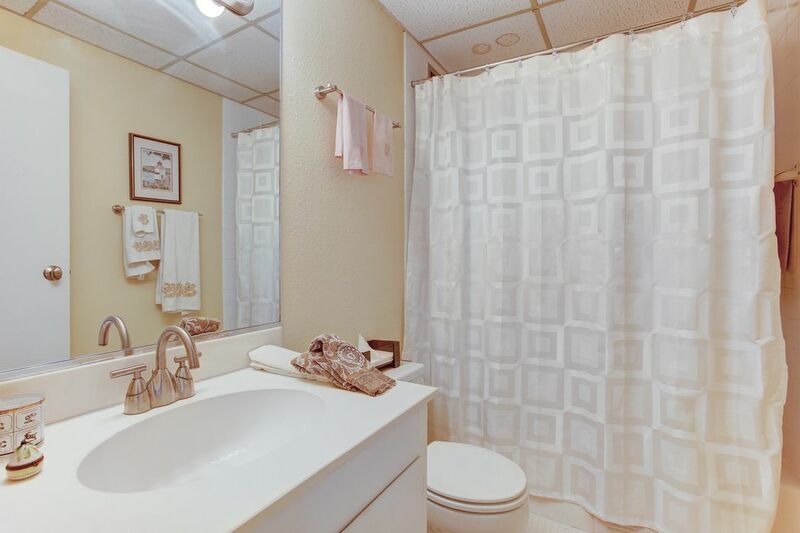 $399,000 2 Bedrooms2 Full Baths1,553 sq. 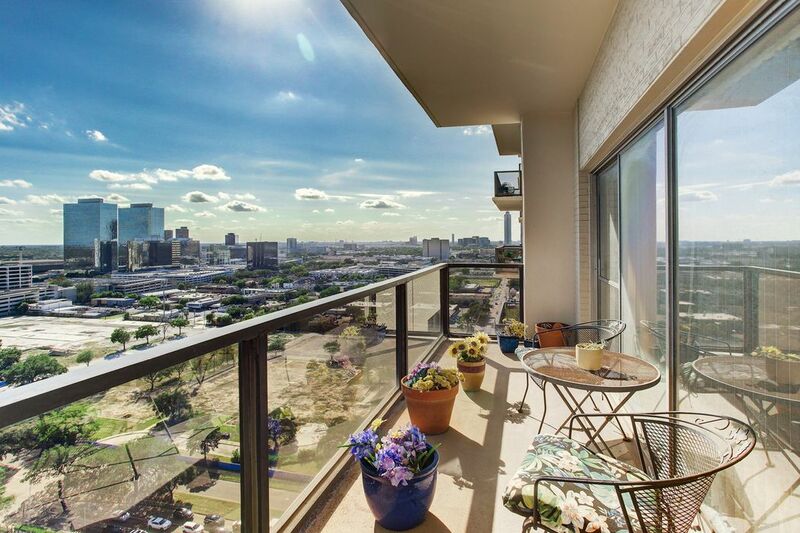 ft.
Light and bright 2-bedroom, 2-bath unit on the nineteenth floor with an inviting balcony and lovely views. This approx. 1,555 sq. 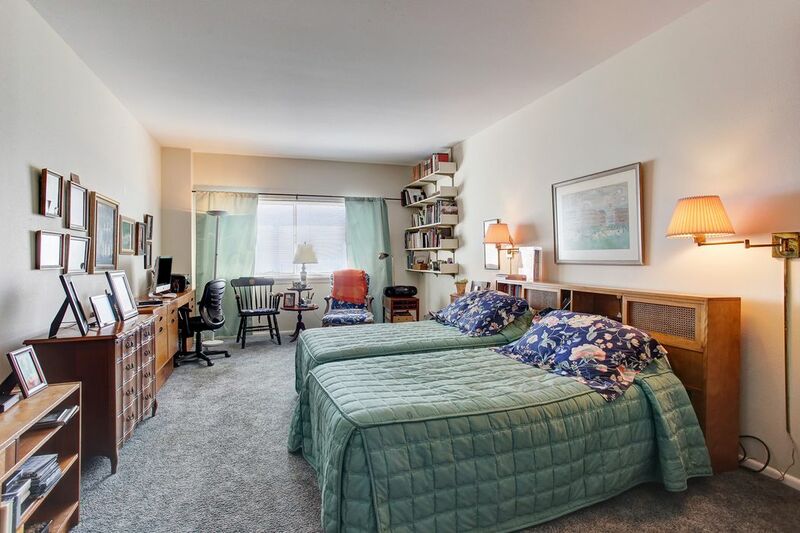 ft. unit has spacious rooms, which can accommodate large furniture. 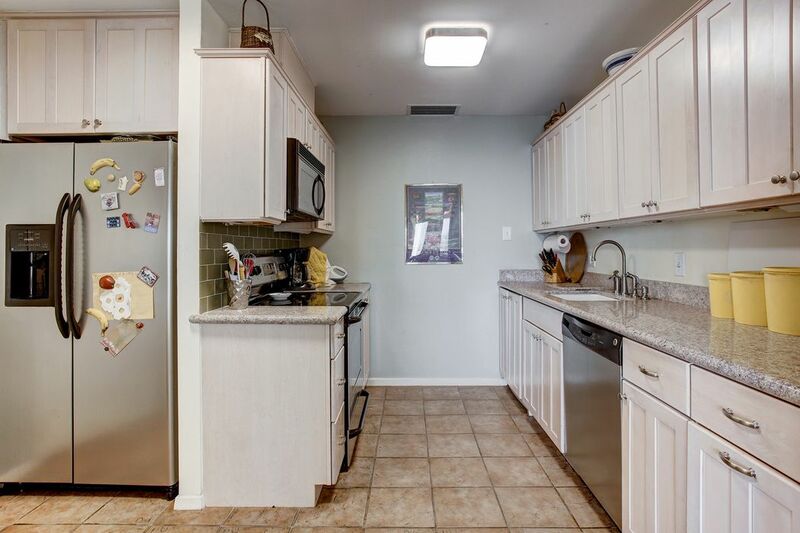 The kitchen has great storage and granite countertops. There is a convenient under counter, separate washer and dryer. Appliances will remain with unit. New a/c handler was installed in October (2018). 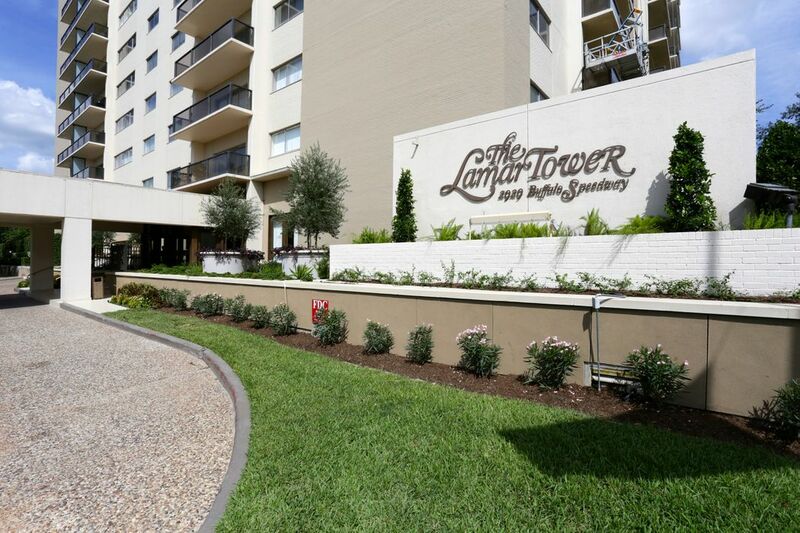 Lamar Tower is a full service building with concierge, valet parking, a party room, fitness room, pool and more. 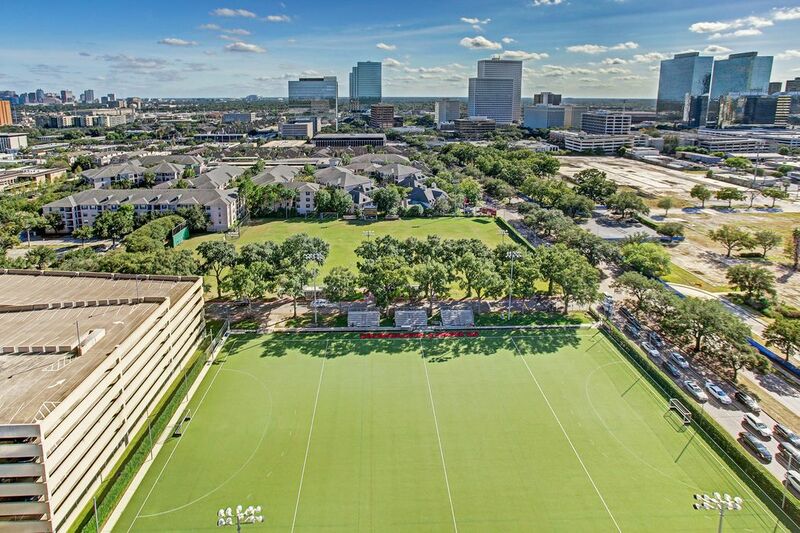 Convenient to St. John's School, River Oaks, Central Market Highland Village and many fine restaurants and shopping.